The all-new 2018 Chevy Traverse in Naperville, IL is a midsize crossover SUV that’s going to be available in the summer of 2018. It’s been redesigned, and now has a conquer-the-world attitude that harkens back to the days where anything with SUV in the title truly meant it provided utility. Unlike some of the newer crossover SUVs out there, the Traverse’s new design is bold and very clearly inspired by the Suburban and Tahoe from the Chevrolet lineup. Just look at the vehicle’s predicted best-in-class third-row legroom and cargo space. On top of that, the all-new V6 engine makes it feel on the larger end of the midsize class in terms of capability, and the available 2.0-liter turbocharged engine on the RS trim helps support a sportier ride. Finally, the upcoming Traverse has all the latest and greatest safety that you’d expect from Chevrolet. In other words, the 2018 Traverse is the midsize crossover SUV that has everything and anything you could want or need for your family. The performance of the 2018 Traverse is looking more capable than ever. With two new engines in its arsenal, it’s not only looking capable, but versatile when it comes to its expected performance. By versatile, I mean the Traverse will now offer performance for everyone. Whatever you’re looking to get out of this midsize crossover SUV, rest assured, you’re going to get it. The standard engine option — and only engine option for all models aside from the RS trim — is an all-new 3.6-liter V6 engine. It’s bulky, but not as bulky as a V8 would be. However, a V6 is already dancing on the wire between fuel-efficiency and power. If Chevrolet decided to add on a V8 instead, it would become less of a car-based crossover and more of an SUV. Still, the V6 is going to put out nearly 10% more horsepower when compared to the current engine. That current power equals 281 horsepower and 266 lb.-ft. of torque. We’ll see quite a substantial power increase, courtesy of the new engine by almost 28 more horsepower and 26 more lb.-ft. of torque, bringing the grand total to around 309 horsepower and 292 lb.-ft. of torque. This should make the Traverse more capable than ever before, especially if Chevrolet decides to keep the dual exhaust option, which bumps the current model’s power up to 288 horsepower and 270 lb.-ft. of torque. Based on those numbers, the all-new V6 engine could experience beefy gains in overall power output when the near 10% increase and dual exhaust is accounted for. Fuel-efficiency and towing capacity are still unknown. At the time this article was written, GM estimated the 2018 Traverse with a V6 engine will return up to 25 mpg highway. If crossover SUVs were immortalized for one thing, it would be for their creative ways of providing cargo and passenger space. If the 2018 Traverse were immortalized for one thing, it would be not having to get creative with the little amount of room available on the inside — because it has a naturally spacious interior. So much so, that it’s predicted to receive best-in-class cargo space, rear-seat legroom, and overall passenger volume. Specifically, the third-row seating will have 33.7-inches of leg room. Access will be easy, simply because the second-row seats are now split-folding, and the passenger side second-row seat can slide forward thanks to Smart Slide carrying over from the 2018 model from its 2017 predecessor. The actual passenger volume is still unknown at the time this article was written, but Chevrolet is pretty spot on with its predictions. Chevy isn’t a company that will toot its own horn for a smoke and mirrors approach to vehicle advertising. The highly-anticipated Traverse is expected to also offer a vast amount of cargo room – enough to land it another best-in-class prediction. Maximum cargo volume comes in at 98.5 cu. ft. after all the rear seats are either removed or folded down. Extra storage options are spread throughout the cabin, which help contribute to the vehicle’s expected best-in-class maximum cargo space rating. The Traverse is still a car-based crossover SUV, which means safety is prioritized over reliability or technology, especially when compared to a larger, truck-based (body-on-frame construction) SUV. The fact of the matter is, vehicles like the Traverse make great family-oriented vehicles. Just another reason why the 2018 Chevrolet Traverse has been equipped with plenty of safety features. Surround vision is a newly available safety feature for the 2018 Traverse. It uses four strategically placed cameras that create a virtual, 360-degree (bird’s-eye) view of the vehicle. 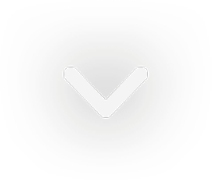 If you are driving at low-speed, all of the camera viewpoints will merge to provide a seamless image to the MyLink Display. Because of this, you’ll be looking at everything around and behind the vehicle. For those not comfortable driving a midsize crossover SUV at first, this is ideal because it helps them get used to the proximity of their surroundings. Forward collision alert, front pedestrian braking, low speed forward automatic braking, full-speed forward automatic braking, lane keep assist, lane change alert, side blind zone alert, rear park assist, rear cross traffic alert, and a rear vision camera are also available. That’s 11 advanced safety features (including the Surround Vision feature) that are available on the 2018 Traverse. Each one is familiar, seen on other Chevrolet vehicles, but some are new-for-this-year of the Traverse. See why Chevrolet is often considered the automotive leader in safety? Oh, and Teen Driver technology was also made available to all 2017 Chevy models, which means the 2018 Traverse will have it as well. 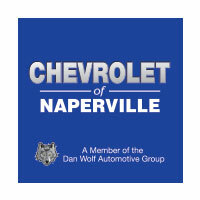 Since 1971, the Dan Wolf Automotive Group has made it a point to deliver high-quality vehicles and great customer service to drivers in the Aurora, Romeoville, Joliet, Downers Grove, and other surrounding areas. What’s this have to do with us? Since we’re part of that tradition of excellence — the Dan Wolf Automotive Group — we are proud to deliver the same type of quality service and quality vehicles. Just because times have changed doesn’t mean the core values and tradition of true dealerships have. In 2017, dealerships like Chevrolet of Naperville are merely trying to find new and modern ways to make the car buying experience even more enjoyable. That all starts with a superior selection of the latest and greatest new Chevrolet models. Even if the 2018 Chevrolet Traverse isn’t out yet, you can bet that we’ll have it as soon as it’s released. Until then, we have plenty of other new models to choose from. Or, used cars if that’s your cup of tea. You might even try a used Chevy Traverse, for starters. Our sales team, finance department, and service department will all provide you with an unparalleled level of customer satisfaction. Because at Chevrolet of Naperville, customer happiness and a stress-free, quality car-buying experience come before the sale.